Here's what you need to know about preparing for potential medical expenses for your horse. Horses are unpredictable animals. The old saying that they’re just looking for ways to hurt themselves can sadly ring true for a lot of horse owners who have had sky-high vet bills because of a catastrophic injury or illness. One vitally important piece to horse ownership is determining just how much you (and your family) would be willing to financially sacrifice if your horse were to become ill or injured and require extensive veterinary care. The vast majority of horse owners can’t simply write a check for a $15,000 colic surgery. Don’t wait for a catastrophic illness or injury to talk to your vet about payment options. Because of this, it’s very important to consider the “what-if” financial scenarios (hard as they may be) before you’re ever faced with them. Many owners have a general idea of a “top dollar” amount they think they will spend on their horses. But it can be difficult to determine a hard-and-fast amount (and stick to it) in the heat of the moment when your beloved horse requires a serious procedure. While placing a dollar amount on your horse’s head can seem harsh, it’s not fair to let your family suffer if performing a surgery or other expensive medical treatment will financially threaten them. It’s also not worth blowing through all your available cash if you then won’t have enough money to pay the board for your horse! Many vets recommend that owners have a plan in place well before an emergency occurs, detailing exactly how much money they can put forth for equine care. This designated amount will most likely change as your horse ages and matures. A $2,500 colic surgery on a 6-year-old, healthy horse can be much more feasible for some than the same surgery on a 22-year-old, pasture-sound-only retiree. Taking a hard look at month-to-month finances and the liquid cash available should give you a good idea of what you could afford for emergency care that will not break the bank. Keep this amount in mind as your horse ages, and revisit your financial situation every few years to determine if you can still comfortably afford the same monetary amount of care if the need arises. Life-changing events such as the birth of a child, the addition of another horse, a home purchase or other large financial investment can alter the amount of funds you may have available to pay off a large veterinary bill. Before it ever becomes a necessity, talk to your vet about the general cost of specific procedures so you have a ballpark understanding of what you might end up paying. While no vet can ever guarantee a specific price tag, they can provide enough guidance that you have a general working knowledge of standard procedures so you aren’t shell shocked by the estimated cost. It can also be helpful to talk with your vet about payment options before it becomes a necessity. Will your vet or vet clinic let you carry a balance or is payment due at the time of services rendered? Does your vet have a policy on late payments? Do they accept major credit cards or are they a cash-or-check-only practice? Knowing the answers to these questions will help you formulate a plan on how you will pay for a large emergency bill, should you receive one. 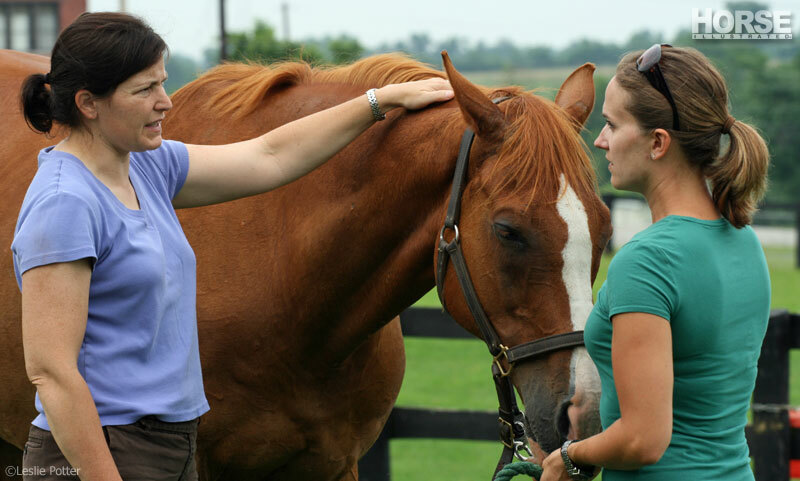 “Equine clinics are not unreasonable and are willing to work with owners, especially if you have an already-established relationship with them,” says Dr. Ashley Craig of Hagyard Equine Medical Institute in Lexington, Ky. That being said, if you’re a new client and the clinic’s first interaction with you will be a several-thousand-dollar procedure, don’t be surprised if they ask for at least half of the expected expense up front. Hagyard works diligently with clients to ensure that payment arrangements are satisfactory for both client and clinic and autopayment is an option, so bills can get paid on time each month. Dr. Craig also suggests that owners investigate CareCredit and see if their vet clinic will accept this form of payment. Essentially a pet credit card, CareCredit can be used in emergency situations as well as for routine healthcare for your horses. Offering special financing options, CareCredit can be used multiple times, including for follow-up visits after emergency issues. While no owner can be prepared for every issue a horse may have, it’s important to have a baseline knowledge of what procedures cost as well as what you can truly afford for equine care. Having both of these will help make stressful, heat-of-the-moment decision making a bit easier. Unfortunately owning a horse is a very expensive hobby. Even with routine vet care the cost of keeping your Equine friend heathly is expensive. Between the annual shots, teeth floating, farrier, worming, supplements, feed, etc, etc. Even healthy well cared horses can become sick or injured w/o warning. CareCredit saved my horse!! With 2 expensive necessary surgeries (he is only 6yrs old now) I was able to get him the treatment he needed and make affordable payments. Get it!! He is healthy and happy now… so am I!! Well, I think I’ll have to cross that bridge if I come to it. I may end up just (af)fording the river.